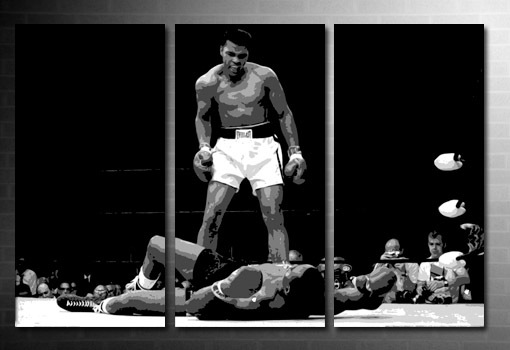 Want this Muhammad Ali canvas art in a different size? Check sizes + prices. 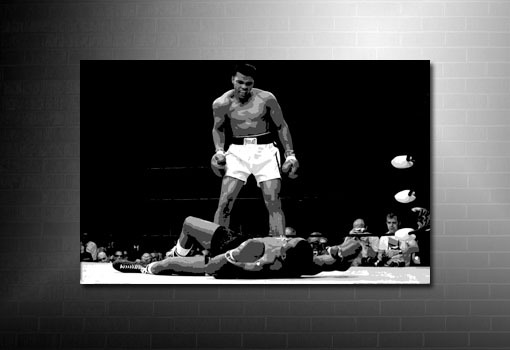 AAll artwork is printed at high resolution onto 100% cotton matte canvas. 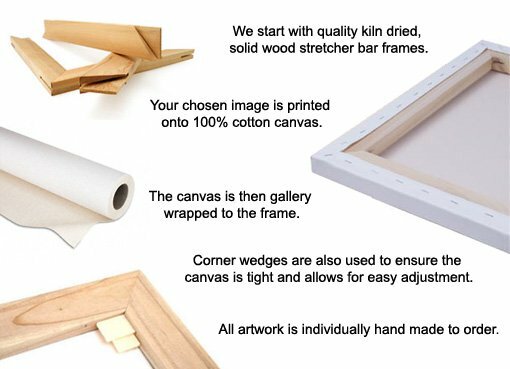 The canvas is securely gallery wrapped to the frame and will arrive at your home framed and ready to hang straight from the box. Hanging kit and care instructions also included. 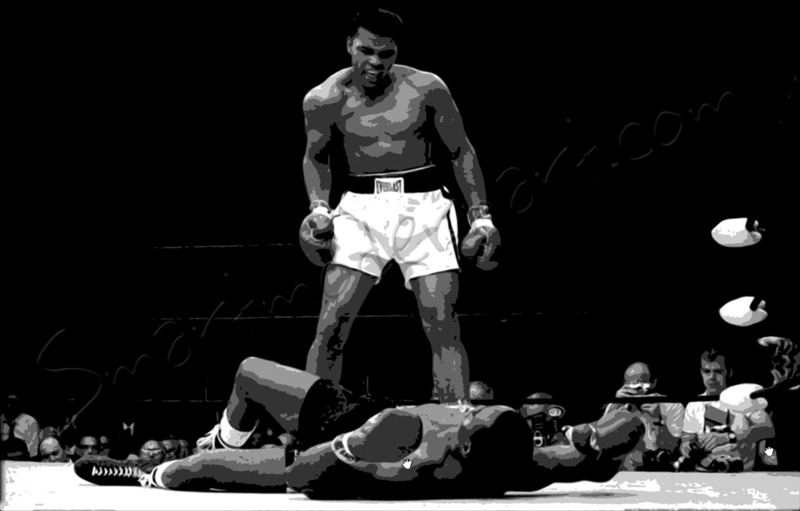 Classic scene of Muhammad Ali towering over the fallen champion, Sonny Liston. Captured in black and white. The aim of this website when I started was to provide my customers with a fairly small and totally unique range of high quality canvas prints that I can be proud of.